18. How can I pay less for everyday stuff? 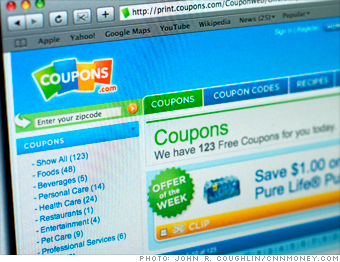 People of all incomes are now using coupons; Web sites make downloading and printing them easy. You'll generally find the best variety at Coupons.com. Recent deals: $2 off Aleve pain reliever, $1 off Kraft cheese. Coolest feature: It can zap discounts right to your grocery store loyalty card. Try this too: Smartsource.com is similar. NEXT: 19. How can I save on my flight?